It was in Sonwar, under the shade of Chinar trees, where he took his first steps. In picturesque stillness, there stood his home. His uncle held him in his lap, one day. He was one, maybe two years old. In the midst of firing, they’d peep outside the window. And, he’d see them all: people scattered in corners, fear on their faces. There was chaos everywhere. 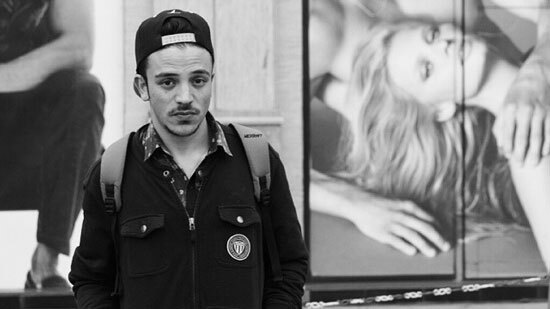 “I’d tell him I want to see it,” recalls Mir Gazzanfar. “That was my earliest memory of Kashmir. That image has been stuck in my head ever since. We all know what Kashmir has been through over the years. It has suffered. I am a Kashmiri by heart and soul. I too suffered along the way. For, conflict left no-one behind. And, I am a part of this unforgettable catharsis.” As a rap artiste, under the alias EssXaar, Gazzanfar’s exploration with lyrical ballads offer multiple perspectives on social consciousness, political awareness and the fatality of ego. 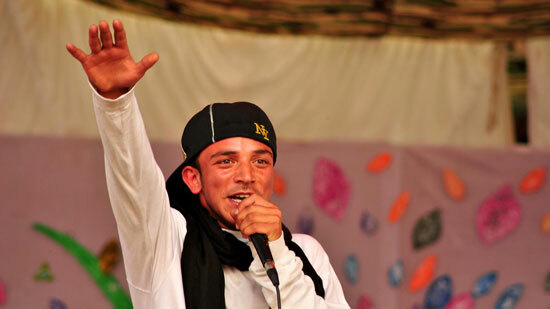 With the emergence of hip-hop, Kashmiri artistes have managed to cultivate a distinctive political and cultural temperament within the valley. It was a collective movement that coalesced artistic expressions into socially astute commentary. For in here, within the divergent ethos of rap, they sought freedom. They dealt with loss. Some wove shreds of memories. A few artistes managed to quell the static uniformity of conventional music: one that was seeped in social acceptance. “My content strongly relates to our current sociopolitical ideology. It represents different layers of Kashmiri identity. The idea of music being a tool to bring about a revolution can be perceived in many ways. The way I see it, it’s a tool to spread peace. And, I’d be glad to use it. I dream of that society. Music can inspire people to perpetuate that change […] And, it all started with the passion to write what I feel and put it across through music. We came from the streets, you see,” explains Gazzanfar. “As a rapper, I decided to write hard-line poetry. It has gradually transformed into something meaningful. The music fraternity in Kashmir needs to grow and build itself. A lot of artistes continue to suffer due to poor wages. It’s difficult as you don’t have a strong, sustainable music industry here. Those who want to will always find a way. I remember when I moved to Delhi I had a whole new world before me. I have tasted struggle and it has only made me stronger. I have also been betrayed in this process but I’ve had people to hold me when I was about to fall. These emotional moments come out through my poetry and it reflects who I am,” says the artiste. ‘Zarum Na Doorer’ is Gazzanfar’s homage to loss and despair. Qassam Hussain’s soaring vocals breathe life into Bashir Dada’s ode to shattered hope. For, the poet speaks of estrangement, of vanquishing memories. Of a loss so profound, it consumes him. There’s a note for every syllable here, a memory for every timbre. And, the angst in the rhythm binds them all. Gradually, Gazzanfar raps a few verses; the amalgamation of Kashmiri folk music and contemporary rhythm n’ blues intrigues him, he says. Unlike his prior experiments, ‘Confession’ and ‘Kashmir’ offer stellar linguistic and musical departures from a bouquet of compositions that echo depravity and abandonment.